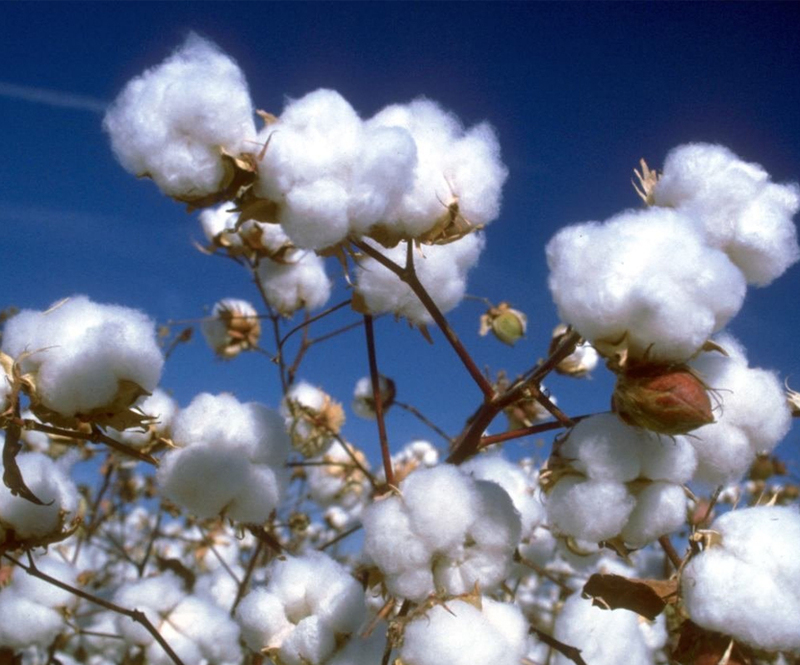 Cotton is a biennial or triennial herb, with a fusiform root, with a round pubescent branching stem about five feet high. The leaves are hoary, palmate, with five sub-lanceolate, rather acute lobes; flowers are yellow; calyx cup-shaped, petals five, deciduous, with a purple spot near the base; stigmas, three or five; and the fruit a three or five-celled capsule, with three or five seeds involved in cotton. Gossypium barbadense var. hirsutum (L.) Triana & Planch. Gossypium barbadense var. marie-galante (G.Watt) A.Chev. Gossypium herbaceum var. hirsutum (L.) Mast. Gossypium herbaceum var. religiosum (L.) Mast. Gossypium hirsutum var. album Tod. Gossypium hirsutum var. macrocarpa Tod. Gossypium hirsutum var. marie-galante (G.Watt) J.B.Hutch. Gossypium hirsutum var. schottii (G.Watt) Prokh. Gossypium parvifolium Nutt. ex Seem. Gossypium prostratum Schumach. & Thonn. Gossypium punctatum Schumach. & Thonn. Gossypium tomentosum Nutt. ex Seem.